For the past seven years, Woodstock South Africa has been held on an annual basis. The festival has been held at different locations around South Africa and become one of the largest music spectacles in the country. 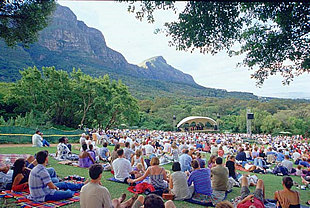 Beginning in 2006, the concert has become one of the largest youth music festivals and positively influenced younger generations in South Africa just as Woodstock 1969 influenced the youth of America. The diverse nature of the concert reflects the worldly nature of the American version and offers music from around the globe brought together in perfect harmony. 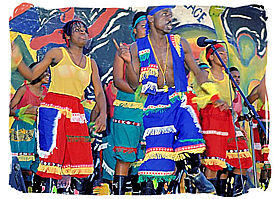 Aside from the diverse collection of musical artists, the South African Woodstock 2010 festival also offers a collection of alternative sports, flea markets, and traders. Woodstock South Africa has become the cultural event of the year in the country and beautifully reflects the rich culture and the feeling of togetherness between the youth. The festival also offers pubs and bar areas known as ‘chill zones’ which are intended for the older members of the youth just looking to kick back and have a few drinks. 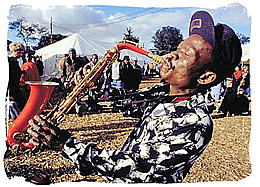 Unlike the American installation of the concert, Woodstock South Africa offers four days of peace and artistry instead of three. The Woodstock lineup for the South Africa version also incorporates well known artists and up and coming acts from all around the world. A great chance for bands to break through to the mainstream, the powerful Woodstock name has made it possible for bands of all different styles to make their mark on the global scene. Culturally relevant bands call this festival home for sharing in their beliefs and sending a message to the youth of the country. Much like Woodstock 1969, this has been the site for peaceful social change and a message of peace to the world. The venue at Hartbeespoort Holiday Resort looks to be the new permanent home to the festival. A rustic atmosphere with log cabins, chalets, and safari tents, the resort marks the perfect location for Woodstock South Africa. The intimate yet expansive venue is perfect for drawing large crowds and accommodating individuals. Nested at the foot of a mountain, the Hartbeespoort has the perfect scenery for the youth to enjoy nature as well as music from all around the world. Expect this to be the Woodstock 2010 location. Dates for Woodstock South Africa 2010 have yet to be announced, but you can bet that it will be a culturally diverse event. Catering to the musical tastes and all sorts of other culturally relevant events, Woodstock South Africa 2010 is every bit as important of a movement as the American equivalent. Those in the area should not miss what is sure to be the best youth festival of the year and get a glimpse of the local art scene and music from all around the world. We will bring you more information on the Woodstock 2010 lineup and other Woodstock South Africa 2010 news as it surfaces.